On Saturday 13th of May, STINAPA participated in Global Big Day, a worldwide event where different species of birds are counted in one day. Last Saturday a worldwide bird census was organized by The Cornell Lab of Ornithology and of course STINAPA participated in this. 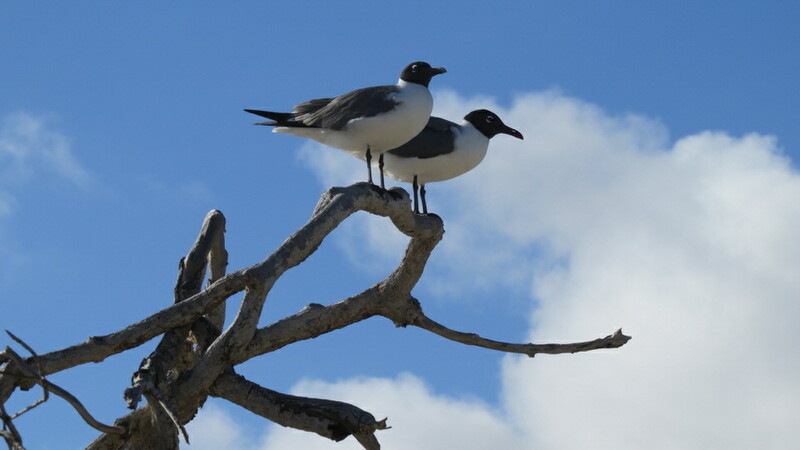 In one year, you can encounter 130 different types of birds on Bonaire. Last Saturday 6000 different species of birds were seen around the world. We would like to highlight a number of species here. At LVV, Southern Lapwings are still flying around and it seems that they have permanently established themselves here. Last year there was a first breeding case on Bonaire. Different types of breeding terns were also observed on Saturday, such as: the Least Tern, Common tern, Cayenne tern, Laughing Gull, Royal Tern. A couple of Greater Ani’s were also observed. It is possible that they also are breeding on the island. Bonaire is not only a divers- and snorkelers paradise, but it’s becoming a bird paradise in the Caribbean as well. The tourists are also starting to discover this. STINAPA will continue with the bird census and the bird watching activities.